Who says you can’t have breakfast for dinner? Better yet, I hope you are eating your breakfast for breakfast every morning. Yes, we all know breakfast is the most important meal of the day, literally breaking your fast from not eating all night and aiding in boosting your metabolism to conquer any of the challenges that your day has to offer. Of course, there is no harm in having your breakfast for dinner either. In fact, one of my most favorite dinners is ‘breakfast’! My most favorite type of breakfast is anything that has eggs. I love eggs anyway I can get them, poached, boiled or whipped up in an omelet; eggs are not only delicious but extremely nutritious. Also, do not be afraid of the yolk, even if you have high cholesterol one egg a day should not harm you. The yolk is filled with nutritious vitamins and minerals (see table below). 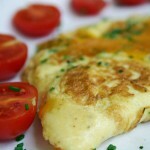 I hope you’ll enjoy this delicious omelet recipe, which I call My Power Omelet. This omelet is awesome whether you’re eating your breakfast for breakfast or your breakfast for dinner. Enjoy! Crack the eggs in a bowl. Add the onions, mushrooms, jalapenos, garam masala, cumin and salt/pepper, whisk lightly until all is combined. Heat up your pan and spray with non stick spray. Add the egg mixture and let this cook, on medium heat, for a couple of minutes. Add the cilantro, then flip the omelet. Let the omelet cook for another couple of minutes, then take off of heat. 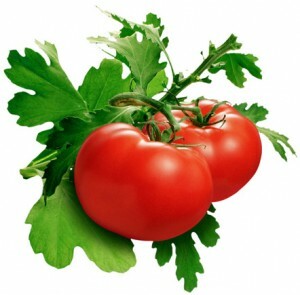 In the same pan, add the tomatoes, in as single layer. Sear the tomatoes on one side only. Once seared, add on top of omelet, and enjoy with whole wheat toast!!! This entry was posted on Wednesday, January 27th, 2010 at 7:18 am and is filed under Uncategorized.